Gain Sense: True Detective: starring Bryan Cranston and Jensen Ackles? For one, after seeing Cranston deliver an amazing performance as one of the most intense and morally bankrupt characters on TV, it would be a nice change of pace to see him play the "good guy." I think he has the voice, gravitas, and look to play the type of grizzled veteran that would get mixed up in the sort of spooky and conspiracy riddled cases that True Detective is known for. 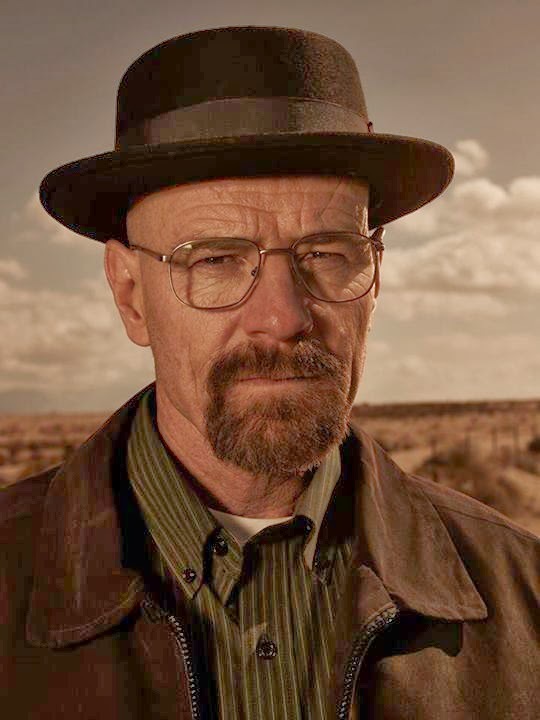 Of course, most people know about Breaking Bad and would not complain if Cranston were to be selected as one of the successors to Harrelson or McConaughey. Ackles, however, is another story. Unless you watch Supernatural, which is a bit of a niche show, you probably think of him as a pretty boy B-list actor who muddled around in soap operas for a few years, relying mostly on his looks rather than anything substantial. The truth of the matter, however, is that Ackles is an incredible actor. Over the past decade, he's honed his talents on Supernatural, and has emerged as a better actor than his fellow lead, Jared Padelecki. Many wish to see him in some sort of movie role, though that might be too great of a leap. In my mind, being one of the leads on True Detective would be a great stepping stone to greater roles in the future for Ackles. So, in terms of basic acting chops, these two would certainly be able to maintain the high standard set by their predecessors. But what about their chemistry? As far as I know, Cranston and Ackles have never worked together before and have no significant prior relationship (unlike Harrelson and McConaughey). Both actors are, however, used to working in tandem with somebody else on their most popular shows; Aaron Paul for Cranston and Padelecki for Ackles. Plus, Ackles has played a hardened and dark version of Dean Winchester for so long that he would mesh well with the type of detective I imagine Cranston being. We know what Cranston is capable of, but I think people would really be amazed at the kind of performance Ackles would have in a show like True Detective. On Supernatural, he really shines during the most tense, drama-filled moments, something that would be further illuminated in True Detective. What do you all think? Would Heisenberg and Dean Winchester make a formidable duo in next year's version of True Detective? Let me know in the comments section! Bryan Cranston and Idris Elba as the lead detectives needs to be a thing... Like right now. Haha, I could go for that.